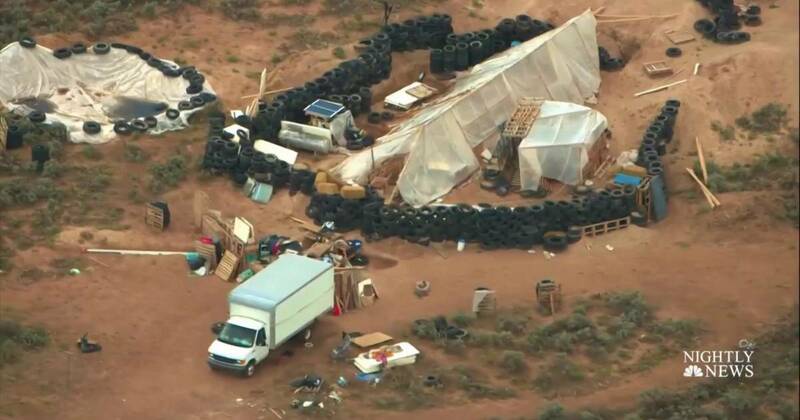 A few days ago, a mysterious compound was discovered in the New Mexico desert, which has since been revealed by authorities as a Muslim Jihadi training facility, teaching child students to conduct mass shootings. Of course, such revelations have not been widely covered by the mainstream media. Extremist Muslim father, Siraj Wahhaj, 39, was arrested at the compound in Amalia, New Mexico, on Friday last week, where they discovered 11 starving children, who were learning how to use and shoot guns. Police revealed the compound was used to teach children how to practice and hone their craft in school shootings, but were saved when the police raided the property after earlier intercepting a message which was meant for somebody else, which stated that all the children were starving. Hopefully an investigation into the dark motives of Linda Sarsour will come to light, and her subsequent arrest will be in development for condoning Jihad and terrorism in America. Sirraj’s father is Imam Siraj Wahhaj, who has a terrorist past, and Sirraj Wahhaj has just been caught training 11 children to conduct mass shootings in America. Keep in mind that this is a person that Linda Sarsour openly condones and has vied for in her previous speeches. Wahhaj, 39, was arrested in Amalia, along with his brother-in-law, wife, and two sisters, along with the 11 children who were taken into custody and safety. Wahhaj was heavily armed with an AR-15 and four pistols when police stormed the compound to arrest him. In court documents filed on Wednesday, prosecutors claim that Siraj was using the weapons to train children to perform mass school shootings. The compound is close to the Colorado border, and the FBI had been watching the compound for months, after being led to it in their hunt for the 3-year old disabled son, AG Wahhaj, who vanished back in December of 2017, along with Siraj Wahhaj. The FBI had not raided the compound earlier, as they did not have a warrant, nor was AG physically there at the compound. However, police now fear that a body of a child found on the premises may be AG, although the body has not been formally identified. Neighbours to the compound said that they had heard gun fire coming from the camp in recent months, and that the 11 children present at the compound, had also not been seen in months. The children aged 1-15-years old were taken into government custody on Friday, and they were filthy and had not eaten in days. This information was divulged yesterday whilst prosecutors pleaded with a judge not to give Wahhaj bail, where he now stands for the charges of child abduction and child neglect. The police have yet to file charges for the discovery of a body on the camp site – a body of a child, that they believe to be Wahhaj’s son, AG. Siraj Wahhaj is the son of prominent terrorist, Imam Siraj Wahhaj (and mentor to Linda Sarsour), who’s now been arrested, along with Hujrah and Subhanah Wahhaj, and his wife, Jany Leveille. All the three women were charged with child abuse on Sunday, but were seemingly brainwashed and intimidated by Wahhaj. Also charged was Lucas Morton, Subhanah’s husband, for harbouring a fugitive. 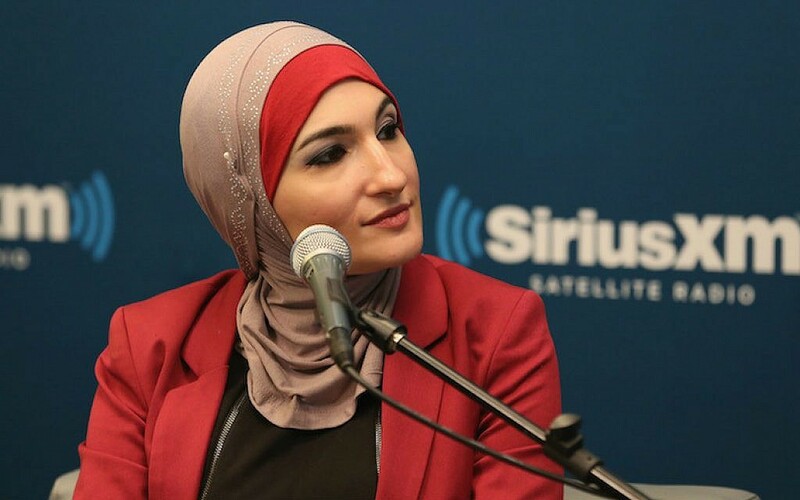 To think that people like Democrat darling Linda Sarsour, who had earlier asked for “holy war” against President Donald Trump in her previous speeches, can still be allowed to walk the streets of the United States whilst being associated with people who have terrorist training camps on American soil is unfathomable. Lock up Linda Sarsour! The terrorist camp has now been shut down, but as to how deep this case will go is anyone’s guess. We can hope that it concludes with the arrest of Linda Sarsour for “treason”, and also unlocks the key to take down more Muslim extremists in America, that are seemingly associated with the Democrat party. I have been studying evil for a few years now. I find the depth of malice that exists is so bad that most people do not want to know about it. I have suffered PTSD from my studies and have to take breaks. I don’t know how law enforcement officers cope with what they discover, but I admire them for what they do. This is yet another in the dark satanic pool that is growing everyday and against which I do not know if we can stop.